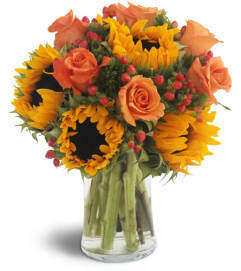 Bright, crisp and high contrast flowers are combined in a lively, happy-making bouquet that's a treat to give or get for any reason at all. 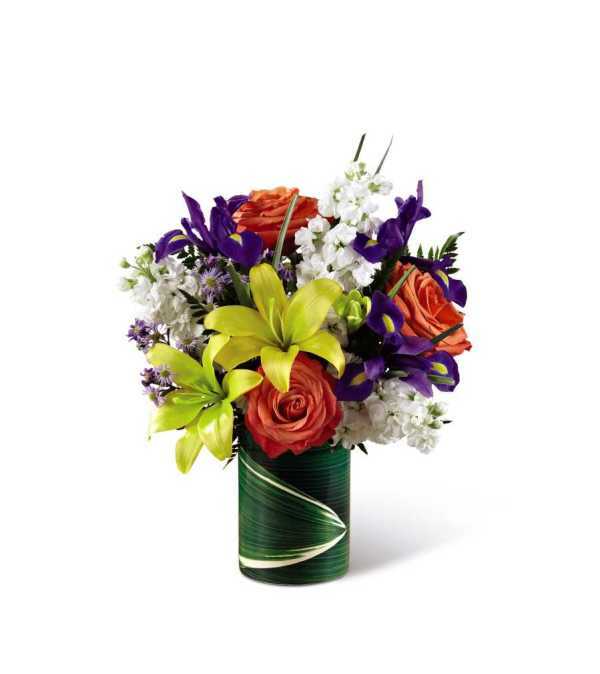 Yellow Asiatic lilies, purple iris, white stock, lavender Monte Casino, orange mini carnations (in Good only) and roses (in Better, Best and Exquisite) are arranged in a ceramic "illusion" vase that convincingly replicates the look of a leaf-lined glass pillar. 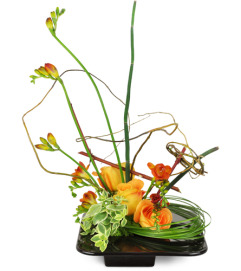 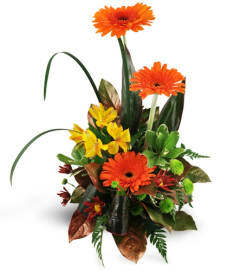 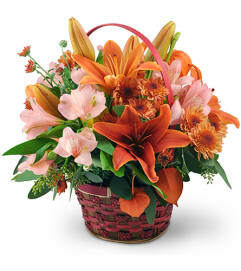 It's an arrangement sure to cast a golden glow to make any day one that's special and memorable.